Mild soap and bottled or distilled water are recommended cleaning products for leather bags or purses, while mild detergent, microfiber cloth and clean water are advised for cleaning leather furniture. A person should always spot test the cleaning product on a tiny area before cleaning the entire furniture to avoid damaging the leather by mistake. Regular soap or detergent is not good for leather, as soap residue on leather can cause dry patches and cracking. 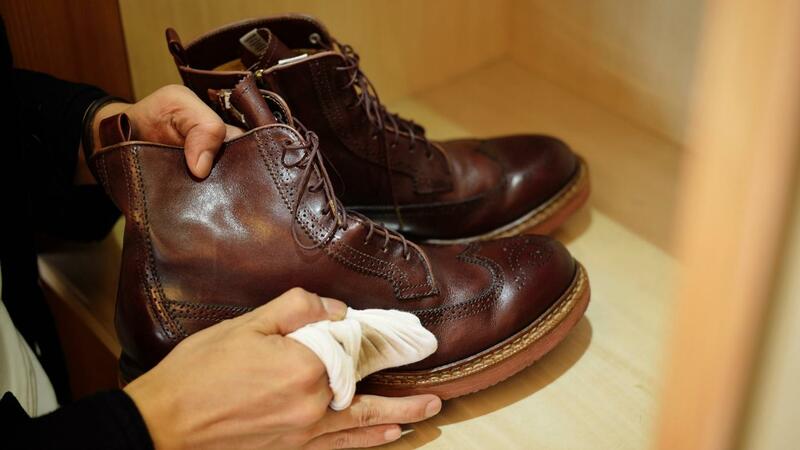 When cleaning leather, a person should combine one part mild soap, such as very mild clothing detergent or facial soap, with eight parts bottled or distilled water. The mixture should be poured into a spray bottle and sprayed on a microfiber cloth. The next step is wiping stains gently, going with the grain of the leather. After the stain dissolves, the bag or purse should be left to dry naturally, far from direct sunlight. Once dry, it should be wiped with a small amount of leather moisturizer to protect the material. When cleaning leather furniture, heavy-duty household cleaners should be avoided, as the leather could become worn. A person should vacuum the furniture to get rid of dust and particles first, and then wipe a small amount of very mild detergent on the furniture using microfiber cloth. The fabric should be wiped with cool, clean water afterward and left to dry away from sunlight. What Products Are the Best for Cleaning Electronics? What Are Some Good Wood Cabinet Cleaners According to Experts? How Do You Make a Window-Cleaning Solution? Are There Non-Toxic Products That Clean Hardwood Floors? How Do You Clean Burlap?